As with all my handmade fabrics, this is a one of a kind piece, no-one else will have one that is exactly the same. 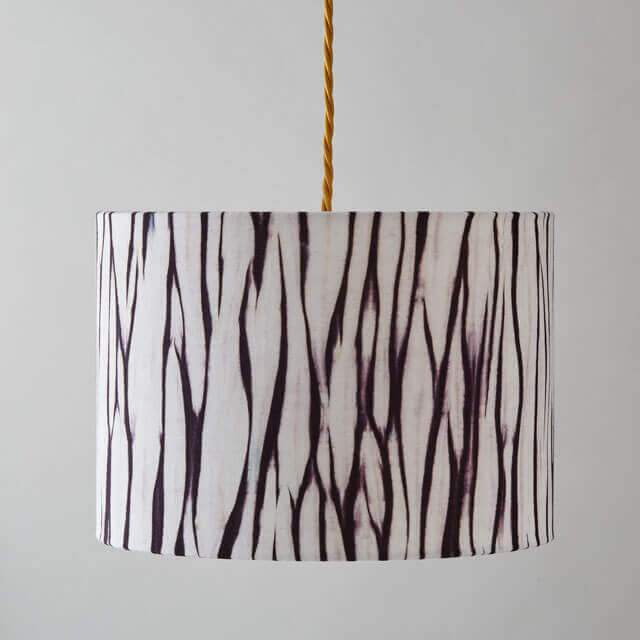 This dark purple and white Shibori striped lampshade is part of the “Storm” collection recently launched at MADE London by Romor Designs. 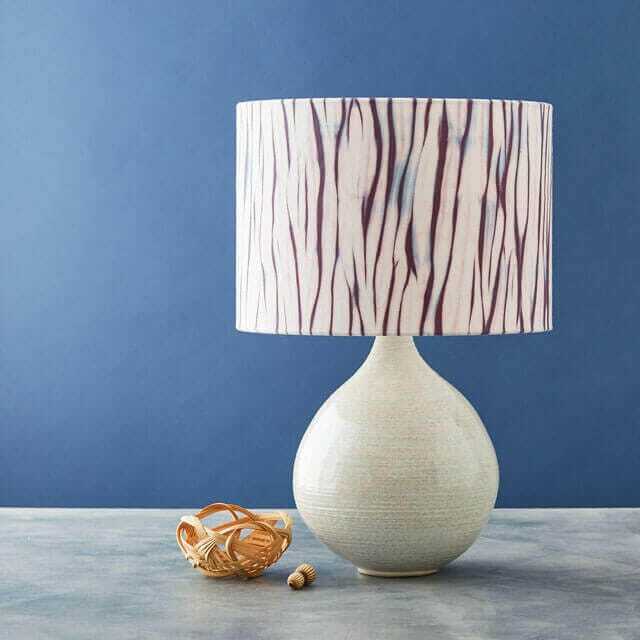 It is handmade using pure white Irish linen sourced from independent fabric shops in London that has been pole bound and pleated using the Shibori technique known as Arashi and then dyed using the natural dye, Brazilwood and over-dyed with Mayan indigo. As with all my handmade fabrics, this is a one of a kind piece, no-one else will have one that is exactly the same. 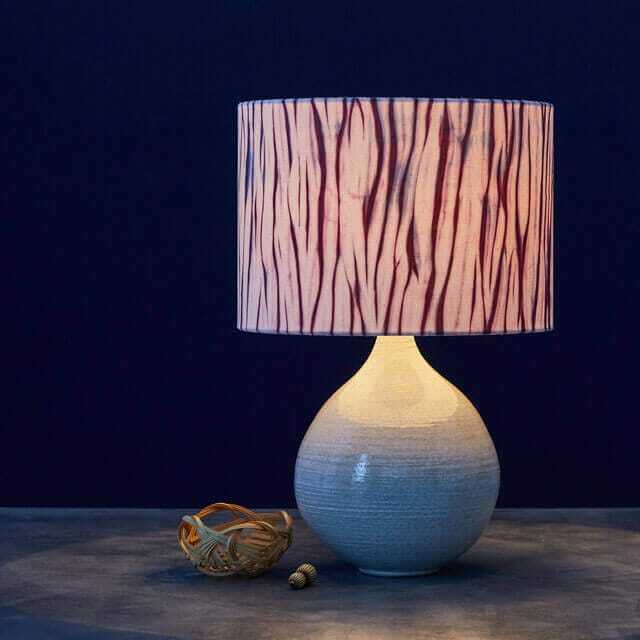 * Please note: Due to the handmade nature of this item the exact pattern and colour you receive will be similar to but not exactly the same as the one you see featured. 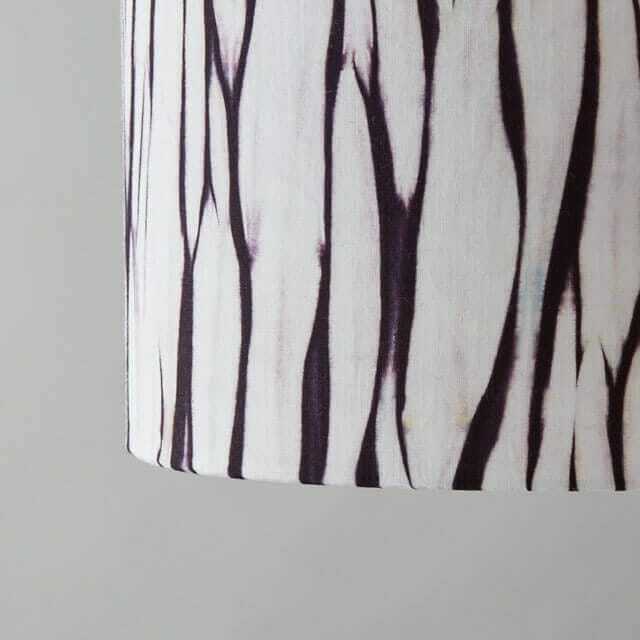 The animalistic stripes are achieved by carefully calculating the amount of cloth to wrap around the cloth and the size of the pleats. The fabric is mordanted overnight in an alum bath and then dyed for 2 hours in a hot bath of Brazilwood before being over-dyed in Mayan indigo (5 dips). Inspired by lightning skies and rainfall the “Storm” collection is a tribute to nature and the power of storms.